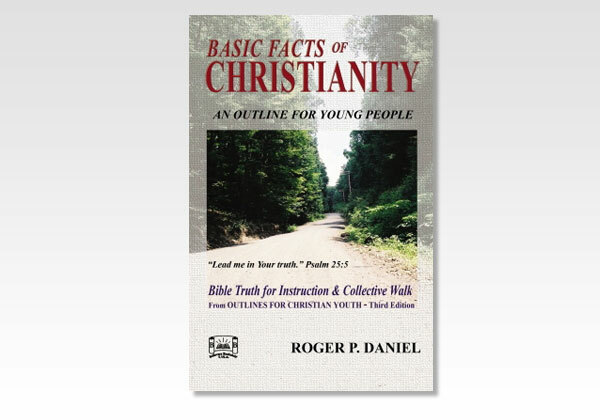 An Outline for Young People is in two parts, taken from Outlines for Christian Youth. What? When? Where? Why? With Whom? We first need general Bible truth to help us both in our personal walk with God and in our walk with other Christians. Our personal life certainly affects our life in relationship (fellowship) with other believers. Roger P. Daniel is a married, retired safety engineer with two grown children and five grandchildren. He lives in Michigan and continues to teach a class of young adults in the local assembly where he has been actively ministering the Word, especially to young people, for about 50 years. He is Believers Bookshelf's most active living author.